As the year comes to a close, Cardi B looks ready to welcome in 2019. The end of her year hasn't been the most positive as she's experiencing major changes in her life. Despite her handful of Grammy nominations, Bardi announced that she's breaking up with her husband Offset. A few weeks prior, she told fans that she wanted to have a second child and now, things seem to have derailed those plans. It's insane that anywhere Cardi goes, photos will be taken of her. She's probably used to it at this point - after all, she absolutely took over this year. However, there's bound to be moments where she's not looking her best. Ten days after announcing her break-up with Offset, Cardi was photographed looking tired, upset, and done with 2018. Today was supposed to be Offset's album release day. Cardi previously said that the project "made her cry" twice, noting that it was very emotional for her. 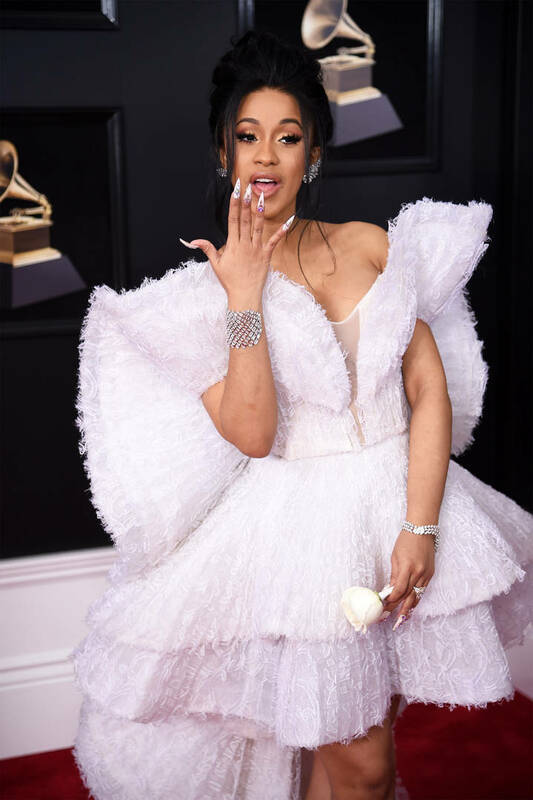 Their relationship now has a new dynamic as they're no longer together and while Cardi seems to be fine on social media, she appears to be pretty exhausted over it. As she walked through JFK airport in her Balenciaga, paparazzi snapped a photo of her on her phone as she looked a little blue. To be completely honest, she looks just like any other person at the airport. Is anybody showing out when they're about to get on a long flight?